A new workplace concept is aimed at satisfying the operator needs. With the S-Series, the forklift specialist with American roots relies not only on already proven system components, but also on pioneering active safety systems, a smart information system and a wide range of accessories. The S-Series is designed to fulfil the specific requirements of customers worldwide while also ensuring the highest efficiency. The S-Series consists of the S20-35 LPG and diesel forklifts with super-elastic or pneumatic tyres and the S20C-32C compact LPG forklifts with cushion tyres. These forklifts are available with capacities from 2 to 3.5 t with a load centre of 500 mm. Robust forklifts are always first choice wherever a high level of handling performance is needed, even during tough multi-shift operations. Rapid and safe delivery in and out of storage areas is helped by the new load weight measurement system which measures the weight of the load on the forks. With a compact design and optimal layout for the centre of gravity, the vehicle has a very small turning radius. This pays off in constricted application areas. To make it possible to suit the vehicle performance to the respective application, there is an option of restricting the truck speed. The speed can be configured via the new splash-proof, 5-inch TFT colour display that is also used for the truck central information system. The display also gives the driver, information about all important vehicle parameters, such as driving speed, load weight and operation time until the next maintenance interval. Warning information can be shown in 26 different languages. The display can also be used for on-board diagnostics and has password-protected access for servicing. In addition to Standard, Hilo and Triplex uprights, Clark also offers Quad uprights for the S series. This quadruple upright is ideal for customers who need a lifting height of up to 8 m and at the same time need a low overall lowered height upright with a maximum of 2.80 m. This for example is required for the loading and unloading of containers, while simultaneously moving items into and out of high racks. 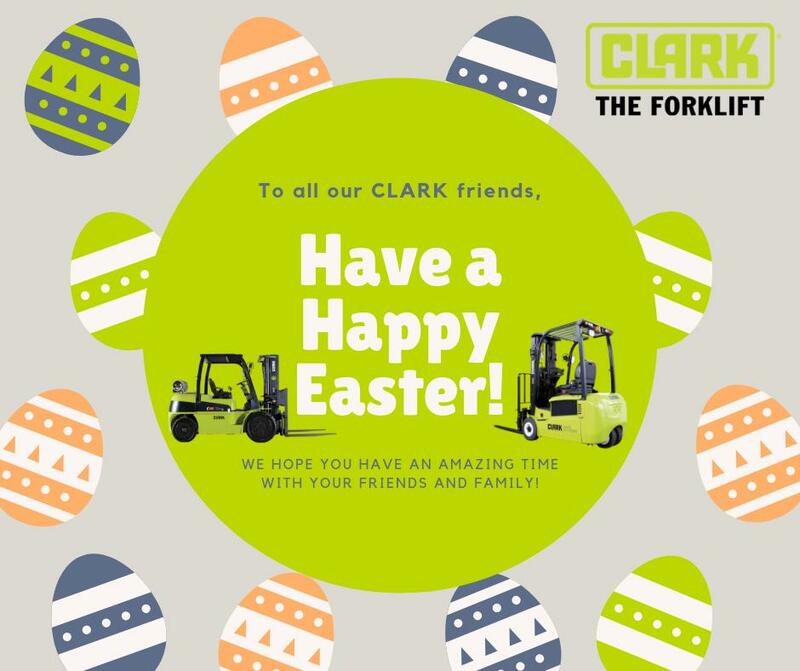 Like all Clark vehicles, the S-Series also fits seamlessly into the proven Clark “Build to last” concept, which stands for a solid and functional construction with high-quality components that ensure reliable operations throughout the forklift service life. This starts with a fully welded robust frame, a vibration-free mounted steering axle, and a stable engine cover mounted seat, to the powerful industrial engines, such as the MMC-PSI (2,4L), the Ford LPG engine (2,5L) with full EPA Tier 4 certification or the diesel version featuring the turbocharged ISUZU diesel (2,2L) engine, which fully complies to all Stage IIIb emission standards. All engines feature excellent acceleration levels and high torque power while still being efficient. During operation, the temperature of the engine and transmission are monitored permanently and switched off immediately if thermal limit values are exceeded. By isolating the engine, transmission and drive axle, Clark has been able to reduce vibrations and noise to a minimum. With the reduction of whole-body vibrations and the smooth driving mode of the forklift, the driver can work with reduced fatigue and achieve higher productivity. The trucks come with practically maintenance-free disc brakes which are oil cooled and can even be provided with additional forced-cooling system for heavy-duty applications. With servo assisted brakes means that less power is needed when braking (up to 50 % less effort compared to drum brakes). The S-Series also excels in terms of maintenance and service. The forklifts are renowned for long service intervals and low operating costs. The service technician can easily reach all components that are relevant for maintenance so that down time can be reduced to a minimum. The well-thought-out ergonomic driver environment of the S-Series impresses not just with its modern design and its high-quality finish but also offers superior comfort to the driver. This starts with the entry, the driver can use the wide footstep to conveniently get on and off the vehicle. Clark has reduced the distance from the footstep to the driver seat so that the driver can easily get on the seat in one step by using the large grip handle. The comfortable, full-suspension seat has a foldable backrest and seat belt and can be adjusted to suit driver size (50–130 kg). The driver can enjoy spacious head- and legroom in the broad interior. Clark has increased the floor area by 50 mm and also provided a lot more foot room near the pedals, which are arranged in compliance with automotive standards. This means safe operation even with large size safety shoes. To improve driver seat spatial conditions, Clark has designed a much slender steering wheel column. With the ergonomic steering wheel – with a small diameter of only 300 mm plus the hydrostatic power steering, the driver can steer the forklift without any exertion. The driver operates the hydraulics either with hydraulic levers mounted to the engine cover, or optionally with mini-levers which are integrated into the fully adjustable, flexible armrest. For operation, it only requires minimum force, so that the arms and shoulders are not fatigued. For easy upward visibility when moving items in and out of high racking areas and to protect against falling loads, Clark has redesigned the driver safety roof. Additionally, the front panel bulkhead is much lower and the upright design has been optimised with a smaller dimension middle cylinder and nestled upright rails. This also gives the driver an unimpeded front view of the loaded forks. To make sure that loads can be safely moved in and out of storage, Clark has equipped the upright with a damping system that reduces shock and vibration during the transition between the individual lifting stages. This protects not just the load, but also the upright. An integrated tilt lock valve prevents the upright from tilting unintentionally or too fast forward. The automatic, electric parking brake increases safety on inclines. Clark offers the S-Series with an extensive range of accessories for a variety of uses. In addition to a completely furnished driver cab with a two-part side door and sliding window, air conditioning with a cooling output of 4.3 kW and humidifier (for selected models), a heater with an adjustable heater valve, a heated rear screen as well as front and rear windscreen wipers, other features such as a reversing camera, safety light for visual warning while reversing, acoustic back-up alarm, optional driver seats with armrests or restraints as well as various attachments are also available.